Corner of 4th and South streets. Police began stepping up their presence in the South Street area this weekend to enforce summer curfew hours. Minors 13 and older need to be home by 10:30 p.m. Sunday through Thursday, and midnight Friday and Saturday. For those under 13, the curfew is 9:30 p.m. Sunday through Thursday and 10 p.m. Friday and Saturday. Violators will be issued citations – 13 kids were nabbed Friday night – and transported to a police station, where a parent or guardian will have to pick them up. Fines are possible for repeat offenders, police said, but the amounts were not immediately available Saturday. Reaction on South Street was mixed Saturday. Most business owners and residents said they were unaware of the changes. Some strongly supported the summer curfew, while others said minors are less of a nighttime nuisance than rowdy adults – particularly those who imbibe. "I think you absolutely need it," said Julia Zagar, owner of Eye's Gallery, a jewelry and clothing shop just off Fourth Street. Zagar, who started her business in 1968, used to remain open until midnight on weekends. But now she closes by 8 p.m. because, she said, the late-night crowd has little interest in buying Latin American crafts and other wares. "I think they come down here not to shop, but to eat and drink and be seen," said Zagar, who has repaired a few cracked windows over the years. Across the street, at Mineralistic, owner Sal LaMarco said he also is in favor of the curfew. But, he said, a relatively small number of teens cause trouble. "Ninety percent of the kids are decent people, polite, courteous," LaMarco said. Like Zagar, LaMarco used to keep his home décor and jewel shop open late, but now, he said, "the later you stay open, the higher the percentage of drunk and rude people there are." Officer Eric McLaurin, a police spokesman, said the summer curfew, which went into effect in 2015, is citywide. The additional South Street enforcement began Friday, with 28 officers in the area. Police want to prevent so-called teenage flash mobs that sometimes turn violent. 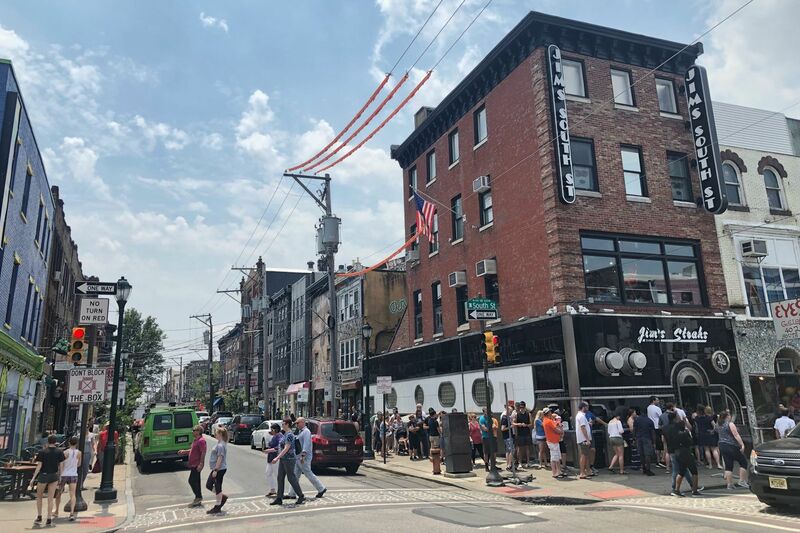 In May 2009, thousands of teens descended on South Street, some pulling people from cars and assaulting a cyclist until he became unconscious. The following year, another group converged on South Street. One youth punched a 27-year-old waitress in the face so hard she lost a front tooth and was unable to speak because her upper lip was severely split. Chris Beyer, general manager of the MilkBoy bar and restaurant, said teenagers have been less of a problem in recent years. He said large groups will ride down South Street on bicycles. "You'll see a group of them come flying down the street, but they're not hanging out," Beyer said. "They're just trying to be seen." Beyer said the number of kids in the area is often dictated by who is playing at the TLA music venue. A popular young artist can draw thousands of kids, he said, "but if you have a Grateful Dead tribute band, there's no kids anywhere." Beyer said he hopes police will strike a balance between maintaining order and allowing law-abiding teenagers to enjoy the city. "I like to think of South Street as the boardwalk of Philadelphia," he said. At Repo Records, store associate Dominick Diglio said adults who drink on South Street are often more disruptive than teenagers. "Kids aren't a problem," Diglio said. But Matt Phun, 12, and Hamaj Satchell, 13, who were walking on South Street on Saturday afternoon, said a strictly enforced curfew could be in everyone's best interests. "There are kidnappers out there," Phun said. Satchell added: "I think they're trying to keep people safe and protect the citizens of Philly."